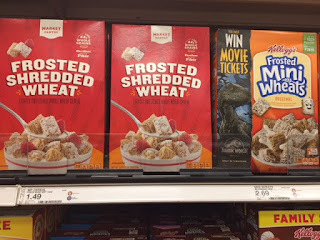 The Target Saver: Store Brands vs National Brands - Which One Do You Choose? Store Brands vs National Brands - Which One Do You Choose? 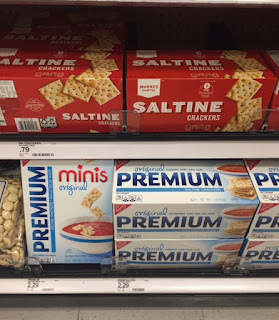 I normally buy the Nabisco Premium Saltines at $2.29, then I noticed the Market Pantry Saltines for only $0.79. They are the exact same things, my savings $1.50. 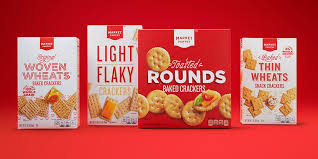 The Market Pantry brand has been in the stores for 15 years. 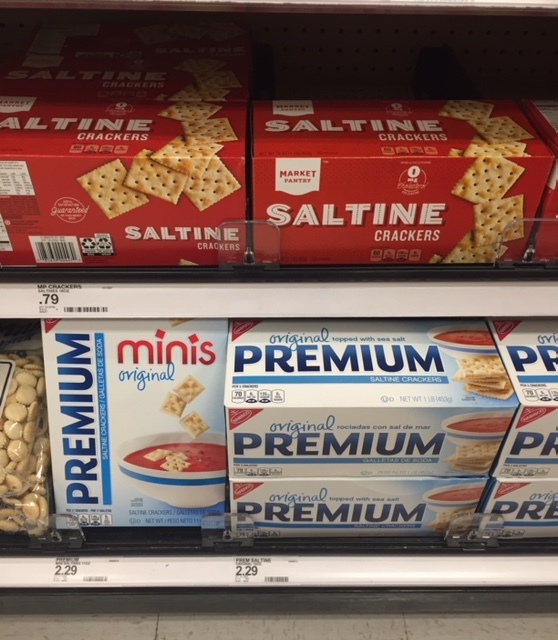 Target back in 2016 redesigned the packaging for the brand using bright colors against a red and white base, which is actually Target's corporate colors. 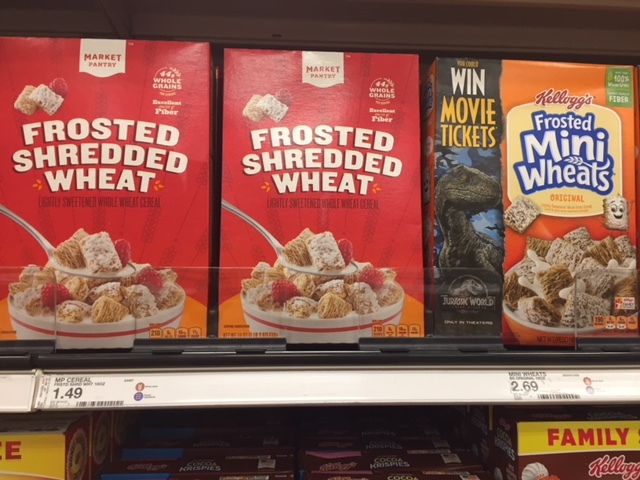 Target always stands behind their brands too. So, the next time you are grocery shopping, take a moment to take a look and compare. You can easily save and make a dent in your grocery budget.